The promotions just keep rolling in at Spin and Win and you are guaranteed to be kept entertained right through Easter and beyond. 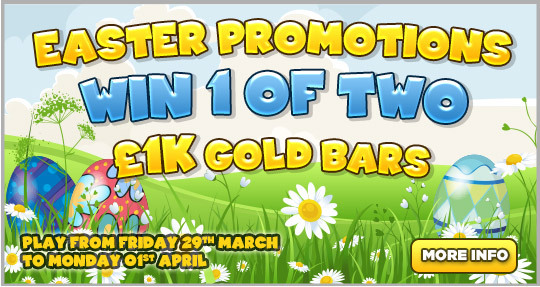 Easter bonanza at Spin and Win Casino means free cash, free spins, exclusive bonuses, table games and slot tournament plus a one of a kind 1000 Gold Bars. Get two 100% match bonuses this Easter from the 29th of March to the 1st of April. Thats More spinning and more winning opportunities. 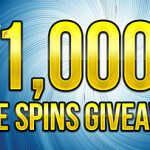 Furthermore, 20 free spins are also available during this peroid. So thats a 200% bonus and 20 free spins all available this Easter. 1. Win up to £100 in scratch cards plus stand a chance to win a fabulous Ipad Mini this Easter between the 29th of March to the 1st of April. Simply deposit £20, scratch your first card and get a £50. Wager £500 to get another free £50 scratch card. Each time you scratch one or more scratch cards enters you into the draw to win an ipad mini. 2. 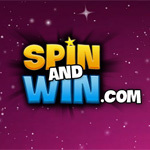 Get a share of the £500 Easter Cash Drop at Spin and Win Casino. 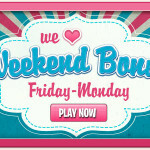 Each day between the 29th of March and 1st of April 5 lucky players will get between £10 and £50. 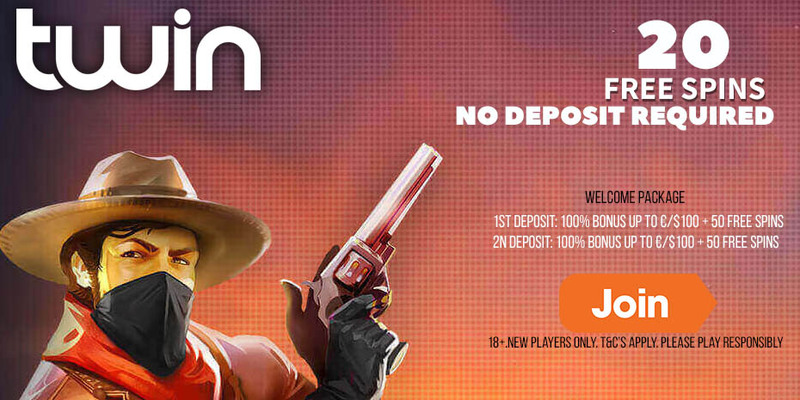 Simply deposit and play your favorite games to be eligible for the random cash drop. 3. 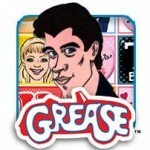 Do you love table games? Well get a load of this, 80 lucky winners who wager the most on their favourite table game between Friday 29th March and Monday 01st April will win a share of £1,000. 4. Do you love slots? Well, heres something for you, Spin the most on your favourite slot games between Friday 29th March and Monday 01st April and win your share of £1,000. Ever wondered what its like to own a a Gold Bar? Well heres your chance. Play Bingo at Spin and Win on Sunday 31st March at 10.00pm and again on Monday 1st April at 10.00pm to stand a chance to win a 1oz Gold Bar. You can pre-buy tickets to the games at 50p a ticket. A brand new slot coinciding with the Easter holiday called Easter Coop is now live at Spin and Win.Take a spin with barnyard friends, line up the Easter baskets and win egg-cellent cash prizes! Posted in Spin and Win.